The House of Fürstenberg is a very old Swabian noble family that rose to prominence in what is today the area of southern Baden-Wurttemberg Germany around 1250 AD. Originally a county in the Holy Roman Empire called Freiburg, the name Fürstenberg comes from the Castle of Fürstenberg. Already quite old when it came to be the possession of Count Henry of Urach, he made it his residence and took the name and title of Count of Fürstenberg. The name means 'Princely Hill'. Over the years the Counts of Fürstenberg expanded their holdings (and their titles) to include the Landgraviate of Baar and Stühlingen, the Lordships of Gundelfingen, Hausen, Heiligenberg, Höwen, and Meßkirch as well as holdings in Bohemia and Moravia. Through this time the Fürstenberg holdings were often partitioned between different branches of the family to create various Fürstenberg counties or one branch might unify certain Fürstenberg territories as family lines go extinct. Each Fürstenberg county has its own history within the larger history of Fürstenberg. Fürstenberg-Fürstenberg was originally created by a partitioning of the county of Fürstenberg in 1408. The county was ruled by Count Henry VII for 33 years until his death at which time the county was divided between Fürstenberg-Baar and Fürstenberg-Geisingen. The county of Fürstenberg - Fürstenberg would reemerge in 1704 as a partition of the county of Fürstenberg-Stühlingen with Count Joseph Wilhelm Ernst, great, great grandson of count Christoph II, as ruler. It was raised to a principality in 1716 and the Count became the first Prince of Fürstenberg - Fürstenberg. It was he who changed his residency to Donaueschingen, a small settlement near the confluence of the Brigach and Breg rivers, the source of the Danube river. There he built a residence fit for a prince. He organized the administration of the county and with the extinction of the Fürstenberg-Messkerch line he essentilly united the Fürstenberg line under Fürstenberg-Stühlingen. For this reason he is seen as the founder of the Principality of Fürstenberg-Fürstenberg although it was Hermann Egon of Fürstenberg-Heiligenberg who was first raised to imperial princely status by emperor Leopold I in 1664. Upon the death of Joseph Wilhelm Ernst in 1762, Fürstenberg-Fürstenberg was again partitioned between Fürstenberg-Fürstenberg and Fürstenberg-Pürglitz. Joseph Wenceslaus inherited the principality and ruled for 21 years until his death in 1783. 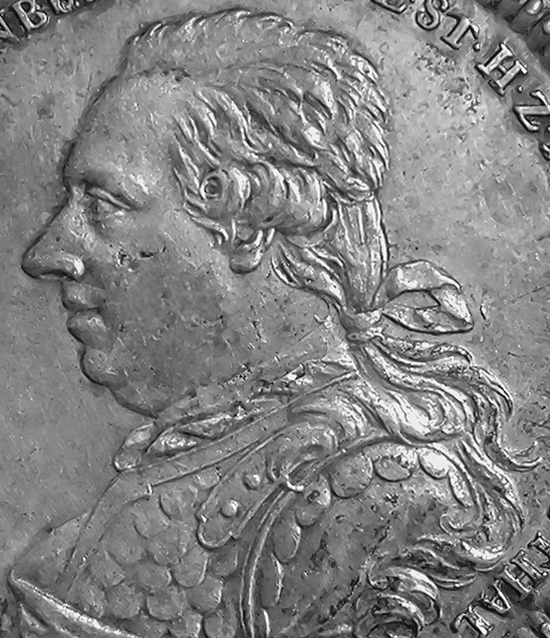 The principality then went to the second son of Joseph Wenceslaus, 25 year old Joseph Maria Benedikt who ruled from 1783 to 1796. He was the seventh Prince and the third Prince of the House of Fürstenberg-Stühlingen. Joseph Maria Benedikt was the son Prince Joseph Wenzel of Fürstenberg and his wife Maria Josepha of Waldburg-Scheer-Trauchburg. He received the standard education as fitting the nobility of the time studying at the University of Salzburg as well as attending the Ritterakademie (schools for the sons of nobility) in Turin. If it could be said that Joseph Maria Benedikt had a passion, it would most certainly be music. Wolfgang Amadeus Mozart visited the Fürstenberg home in Donaueschingen as a 10 year old musical prodigy at the end of a nearly three-year concert tour. A mutual acquaintance in the form of Sebastian Winters, a former employee and friend of the Mozart family who became chamber servant to Prince Joseph Wenceslaus, helped arranged for them to come and perform for the Prince, his family, and invited guests. They stayed for twelve days and although they were paid for the service, they were sad to leave as was the prince to see them go. As gifts of gratitude he gave both young Wolfgang and his sister diamond rings. One of the people who was in attendance during the Mozart's visit was the princes young son, Joseph Maria Benedikt. Like his father, Joseph Maria Benedikt was an avid patron of the arts as well as a musician and a passionate lover of music. He grew up in a household that fostered a love for music with visiting musicians and composers and regular concerts performed at his home. As prince he went to great expense to to convert the former riding school in Donaueschingen into a 500 seat theater to play the works of great composers of the day. Strapped for cash, Mozart proposed that the Prince of Fürstenberg pay him a regular annual salary in return for new compositions for exclusive use at the court in Donaueschingen. Apparently the Prince chose to purchase three symphonies and three piano concertos but decided against paying him the salary he had hoped for. In November 15, 1772 he was contracted to marry Princess Maria Theresia, daughter of Prince Alexander Ferdinand of Thurn and Taxis. In April of 1776 Maria Theresia sought and obtained a nullification of the marriage contract. She would marry instead Ferdinand Count of Ahlefeld-Langeland-Rixingen. Joseph would marry Maria Antonia of Hohenzollern-Hechingen, his first cousin and the daughter and only surviving child of Josef Friedrich the sixth Prince of Hohenzollern-Hechingen. They married at Hechingen in 1778. 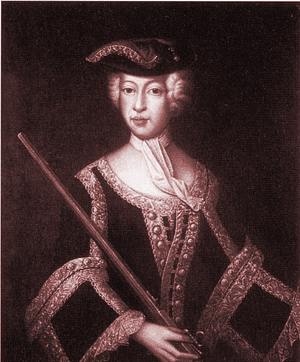 Maria Antonia was described as couragous, determined and ingenious. Physically she is described as being unusually small and is said to have been "hunchbacked and monotonous" with a copper-like complextion. She was practiced at riding, dancing and acting and, unlike most women in her position, she enjoyed hunting. By accounts the marraige was distant and sometimes troubled to the point that Josef Friedrich saw the need to put a clause into the marital contract for the option to separate. They did, however share a passion for music. Like his father who is said to have played the violin, Joseph is said to have been a talented piano player and Maria an "excellent soprano". The Counts of Fürstenberg, in their role as imperial princes, were hereditary nobility that served the Holy Roman Emperor. Joseph Wilhelm Ernst, like many of his predesecors, was very active in imperial politics. He served Charles VI in the office of the Imperial Principal Commissary and was awarded the Order of the Golden Fleece. He served as Mayor and diplomat to Emperor Charles VII and was appointed Principal Commissar by the Emperor Francis I. His son and successor Joseph Wenzel had a particularly less illustrious record of imperial service. He served as the director of the Swabian Reichsgrafenkollegium (College of Swabian Counts) and was appointed Generalmajor by Emperor Joseph II in 1775. 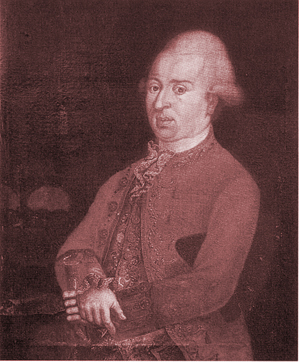 Even less illustrious was the career of Joseph Maria Benedikt. When he succeeded his father in 1783 the new Prince acted to abolish the moral excesses that had become common under his father and is said to have regulated the lives of his subjects with moral severity. Unlike most of his predecessors, Joseph Maria Benedikt held no imperial legal, military or diplomatic offices. He seemed less concerned with service to the empire and his people than he was to matters of music and personal pursuits. He and Maria Antonia had no children so when he passed away on June 24, 1796, the principality passed to his younger brother Karl Joachim. Karl would be the last ruling Prince of Fürstenberg-Stühlingen line and Karl Egon II of the Fürstenberg-Pürglitz would inherit most Fürstenberg possessions save those of the Moravian house of Fürstenberg that would continue as a separate entity. The Principality of Fürstenberg was one of 16 principalities dissolved by the treaty of the Rhine In 1806 and through mediatisation in 1817, the former principality was annexed into the Grand Duchy of Baden and the title was retired. Though the Fürstenberg family no longer ruled as princes, they are still very wealthy with vast holdings of land and large estates including the palace at Donaueschingen with its gardens, grounds and an extensive library. Donaueschingen: is a town in the southwest of Baden-Württemberg near the sources of the Danube. The confluence of the Brigach and Breg river form the source of the Danube river from which the town gets its name. 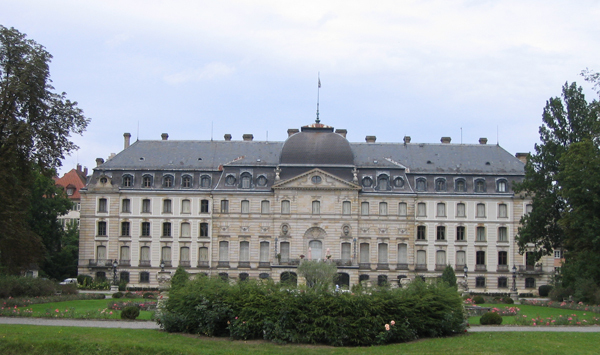 It was the residence of the Princes of Fürstenberg until 1806, when it came under the rule of the Grand Duchy of Baden and later granted township in 1810. A large part of the town was destroyed by fire in 1908. 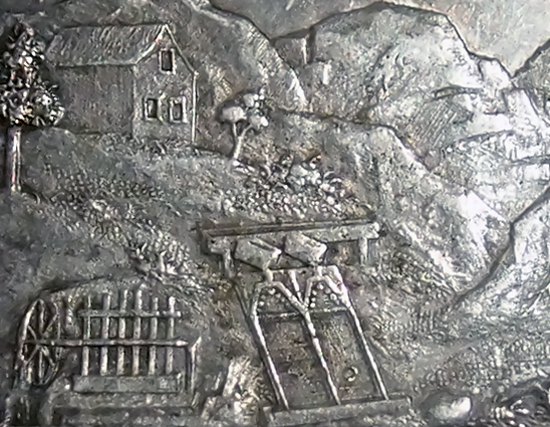 Ausbeutetaler: Also known as a mining taler (dollar), an ausbeutetaler is made from the precious metal found in a specific region; that place or region and the name or image of the mine will appear on the coin. 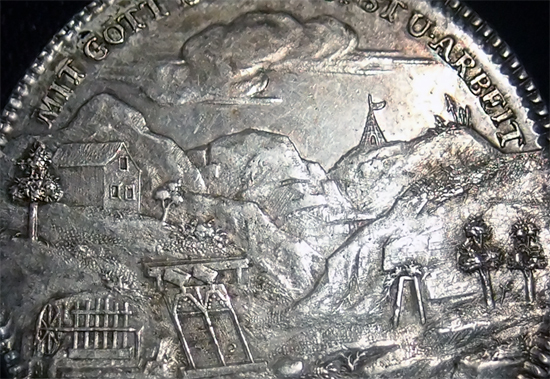 For example, the coin pictured on this page was minted with silver found in the Friedrich Christian mine located in Southern Baden-Württemberg Germany. The first mining talers were issued in the 16th century.